Game of Thrones Season 7 Release Date, Trailer, Poster: So finally Christmas for the GOT fans has come early this year. HBO has revealed the premiere/ release date for the game of thrones s7. And the first teaser poster with trailer / promo for GoT season 7 has been released, and it’s July 16, 2017. Harry Potter starred Jim Broadbent recently unfold that he’ll also be seen in this installment performing an arch master on the show and has shot many of his scenes with Sam Tarley actor John Bradley. In the teaser poster, you can see that there is a combination of ice and fire which indicates the battle. The battle between Daenerys Targaryen’s dragon versus the white walkers. We would like to tell you that GOT made its debut in 2011 and since then is ruling the heart of people. It is based on the book series “A song of ice and fire” by the author George R.R. Martin. 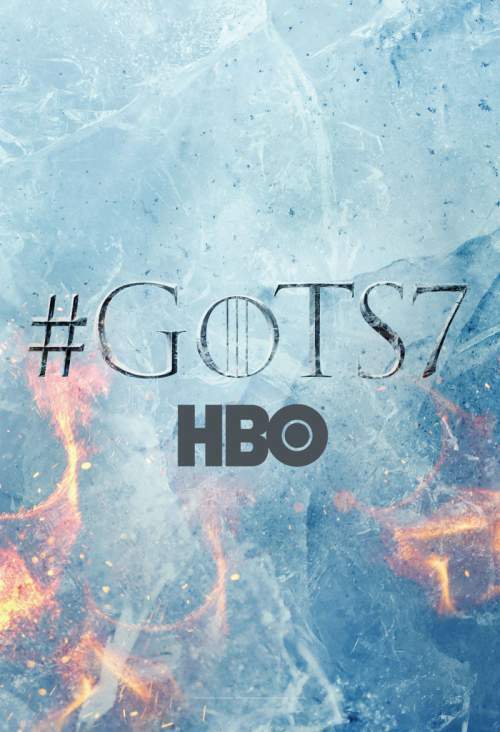 Twitter has already heated up with the tweets of fans in favor of the GOT season 7 and how much excited they are just by seeing the teaser poster of the GoT S7. It is a total treat to someone who is a fan of the fantasy show. HBO announced the premiere date for GoT S7 on March 9, but it didn’t go as per the plan. The Facebook live video faced technical difficulties when the video was about to showcase the much-awaited date on the screens of hundreds of thousands people. The ardent fans kept watching the huge block of ice melting for the much-anticipated DATE. It turned out to be the most unusual and most irritating launch by any show. It took around an hour to announce the same with two failed live streams with a brief trailer. Earlier this week, Jim Broadbent announced that he would be playing a significant character which fans wanted him to portray. This is the penultimate season. Thus the show will start racing towards its conclusion right from the GoT season 7 episode 1. The fans are eagerly waiting for their favorite show to air at the earliest.